Jason Kravitz (Brussels, Belgium) on 12 August 2005 in People & Portrait. 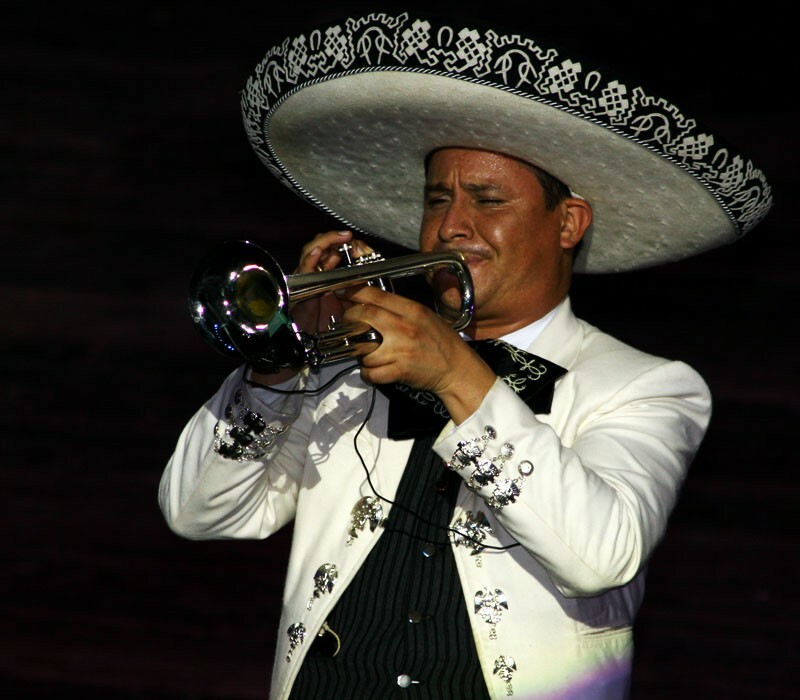 The lone trumpeter - a staple of the mariachi band. Arrrrrrrrriba! The lightning is perfect on the trumpeter. Excellent, the light is perfect and the subject original ! Great! Look at the way the hat is merging into the bg. Good example of brilliant whites and black blacks. Good photo, the black bg emphasizes El Mariachi.